There is no doubt in my mind that as soon as you set about playing poker in London, you are going to be guaranteed of finding plenty of poker rooms and venues that will suit your bankroll and poker playing bankroll down to the ground. 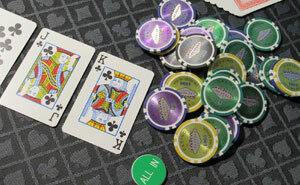 However, when it comes to entering and taking your chances in a London poker tournament, there are some poker rooms that are famed for having some of the biggest poker prize pools on their tournaments and some rooms do attract huge number of players to take part in their respective poker tournaments too. Therefore, what I am going to be revealing to you below, are the top poker rooms in London in which you are always going to be guaranteed of finding plenty of ongoing poker tournaments. I would advise you to check the website of each of the following poker rooms to access their respective upcoming poker tournament schedules. I do know that the Aspers Casino that is located in the Olympic Park has proven to be a very popular venue with poker players looking to play poker tournaments in London. One of the main reasons as to why many poker tournament players are prepared to make their way to that venue is that the transport links are excellent, which is a very important thing to keep in mind when trying to travel across London, as the road network can be a nightmare at the best of times. If you do fancy paying a visit to the very popular poker room and casino then the full address is312 The Loft, Westfield Stratford City, Montfichet Road, Olympic Park, London E20 1EN and the telephone number to book your spot at a tournament is 0208 432 0407. If you are in the heart of London and you of fancy paying visit to a casino based there that does have an excellent poker room in which lots of ongoing poker tournaments can be accessed then the Aspinalls Casino in Mayfair does come very highly recommended. The location and full address of that venue is 27-28, Curzon St, Mayfair London, W1J 7TJ and if you want to know when any upcoming poker tournaments are being held you can phone them up on 020 7499 4599. London is a great city for any poker player, but please do make the effort to try and visit as many of the poker rooms listed on this guide as you possibly can do, for they all do offer something unique and you should find plenty of them that you will want to visit time and time again. Another casino and poker room that is located slap bang in the centre of London is the Casino at the Empire, which can be found at 5-6 Leicester Street, London WC2H 7NA, as with all other poker venues you can contact them directly for more information on their upcoming tournaments on 020 3014 1000 and you can of course visit their website too. One Mayfair based poker and casino venue that you may have visited before or at the very least head of is the Crockfords Casino Club, I should warn you that venue is usually one frequented by high rollers so be prepared to bet big if playing cash ring poker games! I have often been put off visiting the G Casino Piccadilly, due to its location, for no matter at what time of day or night you visit it can be sheer bedlam outside and it is a very busy part of central London to say the least. However it is of course up to you whether you visit or not and if you wish to do so you will of course need to know the address which is 3-4, Coventry St, London, W1D 6BL, for details of any and all upcoming poker tournament they hold in their poker room give them a call on 020 7287 7887. One place you should certainly visit when in London apart from any of the poker venues listed throughout this guide is Chinatown, by doing so you can do some shopping or have a fantastic meal, which will certainly set you up for an evening playing poker. In fact, you are not going to have to venue outsider of Chinatown to play poker you simply need to call into the Genting Casino in Chinatown! That venue really is one of the easiest to find in central London for it is on 93-107 Shaftesbury Avenue, London, Green Park and you can give them a call on 020 7494 3020 to reserve your seat in any upcoming poker tournament, of which they do have many! 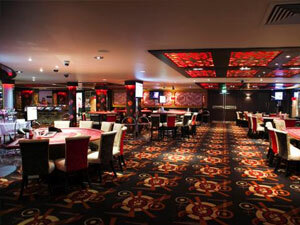 The Barracuda Casino Poker Room is owned and operated by Grosvenor Casinos, and I have to say out of the many London based casinos and poker rooms that I have visited I have always enjoyed my visits to that one. For reference up until not that long ago that venues was known as simply the Gala Barracuda Casino however it has been rebranded into the Grosvenor family of venues, and they really have spared no expense on making their poker room and for that matter the casino a must visit place. The address of the venue is quite grand and impressive too being as it is located at 1, Baker Street, London, W1U 8ED it does of course have its own website you can peruse, but I have often find it easier to contact the venue directly on 0207 935 5013, as their staff are always friendly and informative. In fact, their employees do know the local area very well, so if you want any travel advice on how to get too or from the venue safely and easily then do feel free to give them a bell as they will be only too happy to help you. It can sadly be something of a nightmare if you are trying to get to some London based casinos by car, and that if often the case with the Grosvenor Casino Russell Square poker room, for unless you are extremely lucky your chances of getting a parking space on poker nights is going to be next to impossible. As such if you are thinking of visiting that venue which for reference is located on 61-66, Russell Square, London, WC1B 5JS and has the 020 7833 1881 telephone number, try and look at some alternative ways to travel to and from the venue, rather than risk missing the starting time of the poker tournament due to you either being stuck in traffic or not being able to part your car! You may not be familiar with the Grosvenor Golden Horseshoe Casino in which you are going to find a fairly large and impressive poker room, for it has only recently changed its name from the Gala Queensway Casino. That venue is another one that is fairly straight forward to find being as it is located on 79-81, Queensway, London, W2 4QH, to find out when their next poker tournaments are scheduled you and visit their website or call the venue directly with any additional questions that you may have on 020 7221 8788. It is at 1 Cranbourn Street, London WC2H 7AJ that you are going to find my last highly recommended poker venue in London and that is the one inside the Hippodrome Casino, and the phone number for that venue is 0207 769 8888. One thing to be aware of regarding this particular poker player’s paradise is that it can and does get extremely busy, and as such if you are interested in taking part in any poker tournaments that are held there you should book your seat well in advance.